Thank you Namrota for awarding me my first Liebster award. 1) Each blogger should post 11 random facts about themselves. 2) Answer the questions the tagger has set for you, then create 11 new questions for the bloggers you pass the award to. 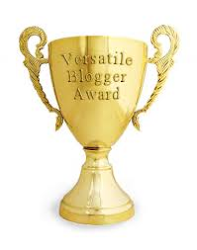 3) Choose 11 new bloggers (with less than 200 followers) to pass the award to and link them in your post. 4) Go to their page and tell them about the award. 1) I like travelling and my dream destination is Greece. 2) I like to read classics. 6) Leonardo Da Vinci and Abraham Lincoln are my heroes. 7) V for Vendetta is my favorite movie and comic. 8) Die hard fan of Clint Eastwood. 11) I like being happy and making others smile. 1) When did you start blogging and why? = 2010 because back then, I thought it was the most popular thing and the correct thing to do. = My best friend and the blogging community. 3) When you become a world renowned writer, would you give up blogging? = No, I dont forget my starting ground. 4) How would you describe yourself in one sentence? = someone who is learning the physics of life everyday. 5) Which is your most cherished memory till now? = when I cleared the IIT JEE entrance. 7) What is your pet peeve? 8) Did you ever have an imaginary friend? If yes, tell us something about him/her. 9) What is your idea of heaven? = A place where I would seriously like to go. 10) Which fictional character from a book would you like to be and why? = Sherlock Holmes. because he is the most witty guy. 11) Whom would you like to play you, in a movie on your life and why? = wait for the movie. 3) what is the difference between a blog and a personal diary? 4) what do you want to change? 5) what do you like the most? 6) what would you prefer at any time in your life, love or money and why? 7) what is your weakness? 9) Are you spiritual or religious or none? 10) what is your goal? 11) If God asked you three wishes, what would they be? It was nice to know about you! Thanks for liking my blog and Congratulations for getting this award. thnx a lot for selecting me .....congatres to u as well Enjoy!! Congratulations Dear Friend Niranjan !! May Your Blog get 100s and thousands of such awards and be recognized all over !! Congratulations to the ones you have selected as well!! First of all let me congratulate you. You are a very good writer and I am sure you will achieve many more awards in future. Thank you very much for selecting my blog for the next level award. Congratulations on your first Liebster Niranjan! And thank you so much for selecting me.